100-Day Challenge – Day 16. And why your argument might make you look stupid. ≈ Comments Off on 100-Day Challenge – Day 16. And why your argument might make you look stupid. Lost another 2 pounds this week, which might have been more had I not succumbed to limited, controlled but admittedly self-undermining temptation with desserts of an evening. After telling my loving spouse NOT to buy ice-creams, she forgot she’d listened. Still, I could have said, ‘No’, couldn’t I? I also ran a faster 2 miles, which is progress even if I am a long way of a 10 miler target. and I was nicely productive most of the time. The psychologist Dr Leonard Orr postulated that in all of us there are two people – a ‘thinker’ and a ‘prover’. The Thinker within you is the part that thinks up ideas and generates possibilities while the Prover looks for the evidence that supports those ideas. Orr’s Law states, “Whatever the Thinker thinks, the Prover proves’. Consequently, if you believe something to be true based on any number of factors in including upbringing, peer pressures, experience and environment, then your Prover will seek out and identify any evidence that supports that belief – while dismissing anything which counters that belief. This is a problem. Referencing Covey’s first Habit, we have the ability if we are aware of and wish to use it to overcome that closed thinking. We can choose to look at what we believe, and to question those beliefs. We also have the ability to elect to make those beliefs conditional – that, to accept that our beliefs are not facts, or that they may apply a lot of the time but aren’t necessarily universal. This came to mind this week because a Facebook acquaintance had circulated a pic supporting of equality in gay marriage, but with an additional barb at the bottom about ‘the church’ being anti-gay. I questioned why a positive message about equality had to end with an attack. Off we went. The point I wanted to convey (and maybe failed because of the medium or because the other party declined to accept Orr’s Law, I don’t know) was that generalising attacks on any organisation/culture/body/group, undermines the intellectual accuracy of the argument. In fact, it merely demonstrates the stereotyping of whole strata of society. And that stereotyping is often done by those who demand we do not stereotype! I read about ‘the police did X at Hillsborough’ or ‘the army did that’ in Afghanistan, or ‘all politicians something else’ wherever, and I get miffed. I get miffed because ‘the police’ is made up of thousands of people who had nothing to do with Hillsborough – I was 180 miles away; ‘the army’ is all over the world and not just in Afghanistan; ‘politicians’ represent society so some are dishonest, some are self-absorbed, and many are trying their best in a warped system (while also being subject to Orr’s Law!). But many ‘police’, ‘army’ and ‘politicians’ are none of those things. Many – no, most – are trying to uphold high personal and professional standards in a system designed (for some reason) to be adversarial. But most can leave the adversity in the workplace. Some, on the other hand, insist on taking it to Facebook. You can usually tell the ideology of the arguer – their language about the other side will be dismissive, often insulting – but always general, as in ‘all X are Y’. Their language rarely takes into account the nature and size of exemptions that make the original generalisation ineffective. Try arguing for an idea without attacking, insulting or stereotyping those who hold an opposing viewpoint. It’ll make you clever – er. If you are going to have a happy 2017, YOU are going to have to make it happen. The good news is – Mike Oldfield is bringing out a new album. The other good news is that you CAN make 2017 a great year regardless of what happens to you IF you follow one rule. Act in complete congruence with your personal code of conduct – Act with Integrity. All the time. For every decision. No excuses. That does not mean being a martyr. It just means deciding that in everything you do, you will act in accordance with your personal value system, unifying principles, credo, mission or code of conduct. You know what your rules are, and you know when you break them. There will be times when bending them is permissible because of the prevailing circumstances. Remember that while you have no control over outside events, you DO have control over how you respond. Sometimes, the response you must provide may not be the one you would like to execute because the external circumstances simply won’t allow it. When that happens, you are not ‘failing’ to live with Integrity – you are just stuck with having to do something else, something slightly less perfect. Don’t focus on things you can’t do anything about – do the best you can and move on to the next opportunity to act congruently. This is harder than it sounds because of those external influences on our lives, but each negative event is a chance to pause and decide not to be dictated to by emotion, ideology, your past, or other people’s expectations. It is a chance to decide ‘I choose to act differently’ and then to act on that better choice. Our past, and the lessons we learned are powerful influences over our decision-making but they need not dictate our response. We tend to overlook that it was seeing things differently that made our lives better, whether it was through education, experience or bitter regret. Instead of allowing those bad things to teach us by waiting for them to happen, we can instead prepare for bad things well in advance by deciding, using our self-awareness and imagination, how we will deal with them. I sometimes wonder why, when my parents passed away, I did not collapse in tears. I loved them both dearly, but as they passed away there was some sense of ‘that’s the way it is’ within me, and with hindsight I think it was my values system and my study of Stephen Covey’s works that meant that what was happening wasn’t disaster, but a natural event that emotional collapse wouldn’t change. I waited until the funerals to shed a tear, yet even then did so quietly. I also suspect that dealing with death in a professional capacity took the edge off dealing with their deaths because ‘death’ wasn’t something unfamiliar. I only hope that those close to me didn’t think it cold – it was just that sadness is less of a curse to me than anger! 2016 was bloody awful. (Outside of all the saintly drug addicts, alcoholics and other celebrities that warranted angst when they passed away.) And one of the reasons that it was awful (for me) is that I allowed myself to lose control, on one occasion so badly that it really sobered me up for weeks afterwards. I fervently intend that 2017 will be a different lesson – where I truly role model that which I believe in, and teach. Like a comedian who is privately depressed, I feel like the personal development trainer who knows his stuff but manifestly fails to perform it. And I encourage you, dear reader, to do differently. Every time you know you should be doing something but seek out excuses – decide to do it. Whenever you’re about to do something you know undermines your better intentions – decide NOT to do it. It only takes the time needed to take the reluctant action, or to step away from the event that impedes your success. It can be less than one second. One second that lies between guilt – and higher self-esteem. But execute, then repeat. Decide on your purpose/mission/unifying principles and work damn hard at making it easy to act in their accord by making your decisions absolutely congruent with what you believe, and accepting those moments when you can’t. That’s my intention for 2017. ≈ Comments Off on Turn the volume up to 11. 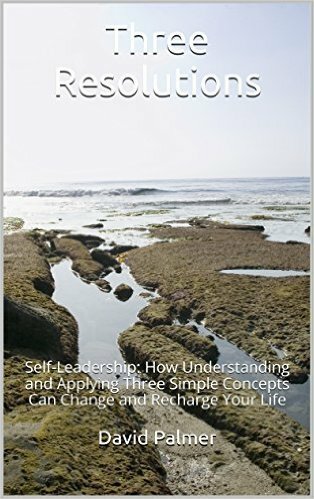 I write about Conscience in some detail in my book The Three Resolutions. I write about how a conscience is developed and how we all have one, even the criminals amongst us. 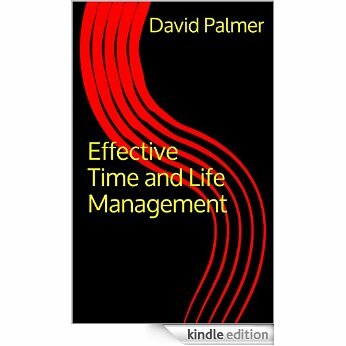 I also write about how, in identifying our most important priorities and values, we can utilise that inner voice to direct us in our daily activities. The conscience is a core ingredient of our character. When we listen to our conscience, we live lives of peace and productivity. When we ignore it, we feel guilt, angst, and occasionally some confusion. Yet ignore it we so often do. We actively seek to stifle it when something potentially pleasurable presents itself to us. We don’t want to miss out on that attractive experience, and so we ignore the conscience, or turn its volume down to 1. To add to the stifling effect, we raise the volume on the ‘Why I CAN do/have this’ button, to make sure we can hear what is calling us forward to the psycho-hypocrisy that is about to occur. We find a rational excuse for what we are about to do and lie to ourselves. As Covey put it, we tell ourselves Rational-lies. Then, immediately or soon after we execute on the lie we just told ourselves, we feel that pang of guilt. Conscience does not go away. On the plus side, however, this knowledge and understanding arguably presents me with a better opportunity for positive change, eventually. Those who don’t realise what they are doing have no motive to change. They don’t know that they can. Now where have I read that, before? Drive like you live? I bet you do. ≈ Comments Off on Drive like you live? I bet you do. Isn’t it odd? I’m sure that, like me, many of my readers have undergone training courses or courses of instruction in their professional and personal lives. Someone had taken the time to put together the information you needed; perhaps they had developed activation exercises to reinforce the input they had provided; and they had organised and developed said course in a way that led you from ‘haven’t a clue’ to ‘level of competence’. Then you went back to ‘life’ and immediately started dropping the standards that had been made known to you. Life got in the way so instead of applying the new, professional levels of quality that you had been told about, you cut corners, saved time – or accepted the societal norm that applied and dropped to that level. In his programmes Anthony Robbins told about the US Marines dropping their high standards when they left the Corps, because ‘they adopt the standards of their new peer group’, and we all have a tendency to do that. The really funny thing about it is that what they learned to pass their test was the minimum standard expected – and they manage to go even lower than that. Then wonder how they ended up upside down in a ditch with their lovely car all battered. That’s an example with which we are all familiar. But would I be even close to right when I suggest that we all do that, more than some of the time? I won’t waste time with specific examples, and to be frank I haven’t the time. But since you know we do it, and you know that you can do better, why not start now? See what happens. See if the results you get are better for having tried just that little bit harder to live at the level of competence that you expect of others when they are serving YOU. Because that’s the other funny thing. When we drive badly as a matter of routine, we still expect everyone else to follow the rules, don’t we? Steering grip of Lewis Hamilton, Michael Schumacher, pursuit trained cops, Kyle Busch. Steering grip of bone idle lazy wazzocks who have gone to sleep and are endangering us.